The New York Times published on 23 May 1922 a review of Oscar Wilde’s play “Salome”, which was showing at the Klaw Theatre. Although the critic thought Miss Thelma Harvey forgetful of her lines, and her voice weak, her ‘supple lines’ did impress — especially in her dance of the seven veils. The veils, it was said, ‘fell like a drop of a hat’, and the dance — with a slight nod toward Egyptian style — was more like a Hula hoochy-cooch to the strumming of ukulele (which the lashing of fringes tipped with beads drowned out). The reviewer concluded that, as a Freudian Flapper, the new Salome was all there. 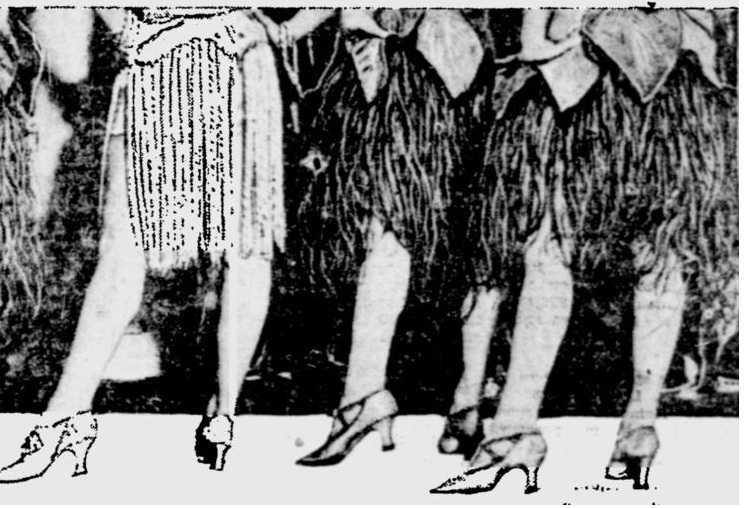 But… According to the Norwalk Hour of 17 March 1922, Miss Harvey was lucky to be there at all, having been arrested in New York for performing what police termed “an improper dance”. Thelma said at the time that she had danced the same dance in San Francisco and had the enthusiastic sponsorship of the police chief. I have heard that ukulele music has always been more popular on the west coast of the United States.